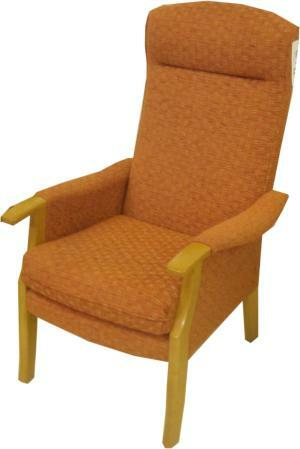 Orthopaedic chairs from Ribble Valley Recliners - specialists in orthopaedic chairs. Our Orthopaedic Chairs are made in the UK by traditional craftsmen. These chairs are fit for purpose in home lounge areas or contract furniture situations. These Orthopaedic Chairs combine quality and comfort. With fantastic fabrics, contract fabrics and hand finished wooden frames. 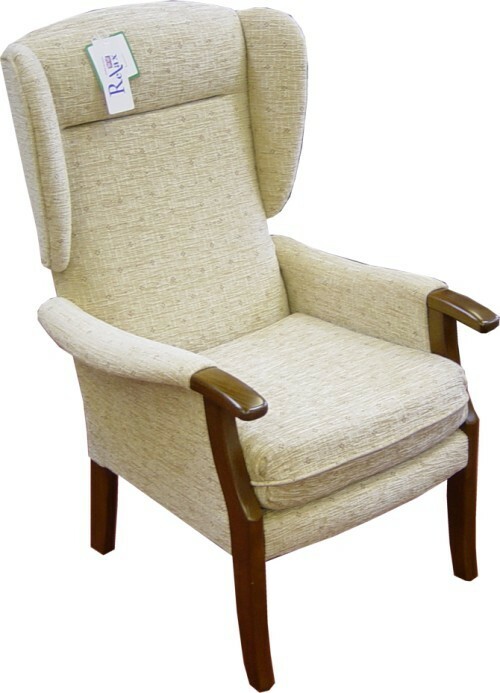 All our Orthopaedic upright, winged chairs are designed to give supreme comfort. The wide range of fabrics and wood finishes available for our orthopaedic range are suitable for both traditional and modern home décor. When you want to be sitting upright and comfortably, and do not want a recliner chair. The Orthopaedic Chair range fits the bill. with standard seat heights and high seat heights of 21 “. The range available has never been better. Full range of Contract / Waterproof fabric for Nursing and Care homesand NHS situations. AS SEEN ON ITV 60 MINUTE MAKEOVER FEATURING THE DRAYTON ORTHOPAEDIC WING CHAIR SUPPLIED BY RIBBLE VALLEY RECLINERS.